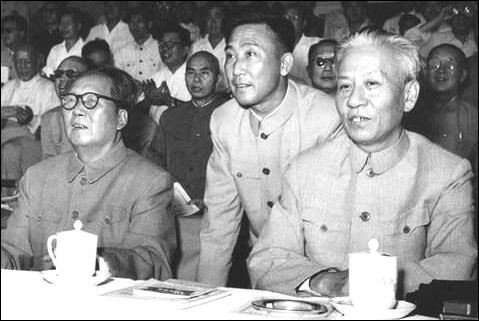 Mao launched the “Great Proletarian Cultural Revolution” as a way of attacking his enemies within the Party leadership, most notably President Liu Shaoqi (1898-1969) and Vice Premier Deng Xiaoping (1904-1997).On May 16, 1966, the Chinese Communist Party released a document expressing concern that bourgeoisie and counterrevolutionaries were trying to hijack the party. The May 16 Notification, as it became known, is cited by many as the spark the Cultural Revolution. 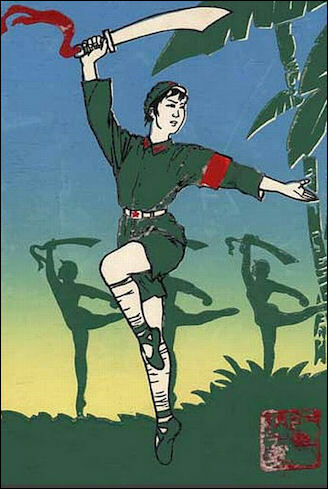 The two year period between May, 1966 and the summer of 1968 was the most active and radical period of the Cultural Revolution. The period between 1968 and 1976 was a period of recovery when members of the Red Guard were re-educated and some assemblage of order was restored. Today the Cultural Revolution is officially known in China as "Ten Years of Chaos" or "Ten Years of Calamity." 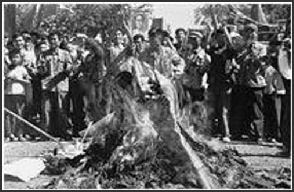 The Cultural Revolution was a movement that intended to create a new society by destroying traditional beliefs, customs and thinking, by purging "revisionist thought" and by crushing perceived enemies of the Communist Party. During the movement Mao saw knowledge as power and believed that by subverting it he could eliminate his greatest threats. 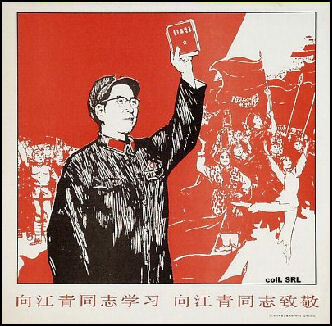 In 1966 Mao had called on the student Red Guards to rebel against "reactionary" authorities. His aim was to reshape society by purging it of bourgeois elements and traditional ways of thinking. Millions of people were arrested and terrorized by the Red Guards, the Cultural Revolution’s paramilitary youth organization. Those arrested were forced to endure brutal “struggle sessions,” where they were tortured and humiliated in public. By the summer of 1968 the country had become engulfed in fighting, as Red Guard factions competed for power. By the time the revolution ended in 1976, possibly as many as three million people had been killed. The violence and persecution during the revolution was catastrophic, and the decade arguably ranks as one of China’s darkest periods. On these theories, Professor Yiju Huang at Fordham University said: “These two accounts are not contradictory. The latter though is more of a political understanding that can be traced back to the intense global interest in the Chinese Cultural Revolution in the 1960s and 70s. The Parisian intelligentsia’s profound infatuation with Maoism comes to mind here. Maoism represented an alternative path not only from the universality of the capitalist mode of history but also from the ossified fate of Stalinist Russia. The Cultural Revolution was a horrible period in Chinese history. Intellectuals were paraded through streets with dunce caps; Muslims were forced to slaughter pigs; and Tibetan monks were taken from their monasteries and put to work in labor camps. Confucius statues that stood for centuries were labeled as decadent and torn down; priceless Ming vases were shattered; and thousand-year-old Buddhist murals were vandalized beyond repair. At the height of the Cultural Revolution, the People's Daily ran the headline: "There is Chaos Under Heaven’the Situation Is Excellent." Schools were closed; houses were invaded; work places became battlegrounds; mini-civil wars broke out throughout the country; and people were turned into the police by their friends, and tortured and killed for reading books in English. Entire families were massacred for being from "bad class" backgrounds. The violence and chaos drove neighbor against neighbor, destroyed the economy, drove the country to the brink of famine and forced a generation of intellectual to work in the countryside. Nearly every Chinese city dweller today who was alive then knows of a friend or relative that have was beaten, harassed or driven to suicide during the Cultural Revolution. In Cambodia, the Cultural Revolution inspired the Khmer Rouge. No one knows exactly how many died, but estimates range from hundreds of thousands to 20 million. Hu Yaobang, a former Communist Party chief, was quoting as saying that 1 million people died, but his figure apparently excluded deaths that resulted from fighting between Red Guard factions, which most scholars believed resulted in an additional one million deaths. Most of those who died during the Cultural Revolution died from fighting among Red Guard factions and violence caused by the collapse of government and the absence of police authority. The Cultural Revolution followed the failed Great Leap Forward and the ensuing Great Famine, when Mao and the Communist Party were on the defensive, looking for ways to rekindle revolutionary spirit. Instead of reshaping Chinese society and thought--its purported intention--the Cultural Revolution thrust much of China into social, political and economic chaos. The Four Cleanups — often called the Socialist Education Movement — was a purge of top-level Communist Party officials meant to remove “reactionary” elements from Chinese politics and disguised somewhat as a crackdown on corruption. Regarded by some as the true beginning of the Cultural Revolution or at least a precursor to the Cultural Revolution, it started in 1963 but really took off in 1964. One Chinese academic said: “Without quite knowing what I was doing, I joined the ranks of the persecutors.” Some have compared the sweeping anti-corruption campaign launched by Chinese president Xi Jinping in early 2013 with the Four Cleanups. Senior leaders accused of taking "the capitalist road” were purged. Paranoid about plots against him within the Communist Party, Mao ousted moderates and liberals in the party such as Liu Shaoqui, the No. 2 leader and State President, and Peng Zhen, the mayor of Beijing. The purge later expanded to an attack on all "enemies" of the Communist Party. The Cultural Revolution coincided with the anti-Vietnam demonstrations in the United States. American Sinologists and leftists wrote glowing accounts of the Cultural Revolution, heralding it as a great revolution transformation. In their attempt to wipe out China's past and create a new society, Red Guards destroyed any precious painting, vase, pottery, calligraphy, embroidery, statue, book or works of art they could their hands on. Owners destroyed their own stuff to avoid getting caught with it. One man told the Washington Post that he watched his mother destroy a valuable old painting. "She was afraid the Red Guard would come and find it, and then they would kill us," he said. A Mao portrait painter and loyal communist was shipped away to a framing factory. His crime: painting portraits of Mao at a slight tilt so that only one ear showed, implying that Great Helmsman listened only to a select few not every one. “How many ears I painted was not up to me. It was decided by the central government,” the artists told the Los Angeles Times. Red Guards did not discriminate against particular religions, they were against them all. They ripped crosses from church steeples, forced Catholic priests into labor camps, tortured Buddhist monks in Tibet and turned Muslim schools into pig slaughterhouses. Taoists, Buddhists and Confucians were singled out as vestiges of the Old China that needed to be changed. One Chinese man told Theroux about an effort by the Red Guard to tear down a cross from the largest church in Qindao: "The Red Guards held a meeting, and then they passed a motion to destroy the crosses. They marched to the church and climbed up to the roof. They pulled up bamboos and tied them into a scaffold. It took a few days “naturally they worked at night and they sang the Mao songs. When the crowd gathered they put up ladders and they climbed up and threw a rope around the Christian crosses and they pulled them down. It was very exciting!" The Cultural Revolution arrived in Lhasa in July 1966. Red Guards entered Jokhang Temple two months later and destroyed or desecrated everything they could. Over the next few years, monasteries were destroyed with dynamite and artillery, libraries were looted and rare books and painting were burned. Buddhist scriptures were used as wrapping paper and to make shoe soles. Monks were forced to wear blue suits instead of their reddish brown robes and some were forced to work for years on communes digging vegetables. Buddha was declared a reactionary and the Dalai Lama was called a criminal. Festivals, pilgrimages and partying were banned. Some Tibetans were forced to cut their hair. Others had to learn a new "friendship language" that incorporated Chinese and Tibetan words in weird ways. By the time it was over 99 percent of Tibet's 6,000 religious monasteries, temples and shrines were looted or totally destroyed and hundreds of thousands of sacred Buddhist scriptures were destroyed. Many of teh Red Guards in Tibet were Tibetans. One former Tibetan member of the Red Guards told the Washington Post, "At the time, I didn't really think about it because we were young. Now as I get older I have regrets." In August 1967, during an anti-foreigner phase of the Cultural Revolution, the British embassy was gutted and burned. All 23 people who were inside the embassy at the time felt lucky to escape with their lives. A British diplomat later told the Times of London that at 10:30am a flare lit the sky and a crowd began climbing over the walls. The occupants of the embassy withdrew into a barred room while the crowd shouted "kill, kill, kill” and set the building on fire. The occupants had hoped to sit out the attack but the room grew hotter and hotter and they fled the building by a concealed concrete door. The diplomat told the Times: “As we went out we fell into the arms of the mob. Hands went up women’s skirts. The men has their testicles screwed.” Somehow they managed to make it out of the compound, where they were rescued by PLA soldiers and taken to their diplomatic housing." Chinese were also harangued for their associations with foreigners. People with Canadian-made alarm clocks were accused of worshiping foreign enemies and forced to endure "struggle sessions." JIang Qing poster Jiang Qing---a former Shanghai movie actress, Gang of Four member and Chairman Mao's forth wife---is believed to have been one of the masterminds of the Cultural Revolution. According to some scholars the whole ordeal grew out of an attempt to extrapolate her radical ideas about the arts to society as a whole and became an experiment that went out of control. Others disagree and say Mao was the mastermind. One bodyguard said: “Jiang Qing could only make suggestions not decisions.” Some believe that she made a kind of deal with Mao in that she would look the other towards his philandering’she once caught him in bed with one of her nurses and for a while was only allowed to speak to him through his mistress if he gave her radical leftist political ideas support. 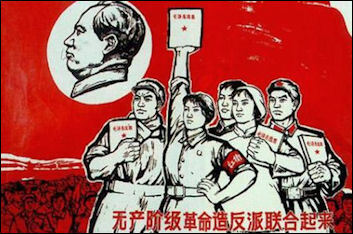 Mao is now widely regarded not only as the inspiration for the Cultural revolution but was also the instigator of it and micro-manager of many of its events. Mao felt that revolutionary spirit had disappeared and the government had become ruled by a new class of mandarins--engineers, scientists, scholars and factory managers--and these people were a threat to his power and something had to be done to undermine them. The Cultural Revolution was blamed almost entirely on the Gang of Four, a group of Communist leaders, with their power base in Shanghai, made up of Mao's wife Jiang Qing and her three allies---Yao Wenyuan, Zhang Chunqiao and Wang Hongwen. When the Chinese refer to the Gang of Four today they sometimes hold up five fingers---the fifth being a reference to Mao himself.